Nobody likes change, especially when it concerns something you dearly love. 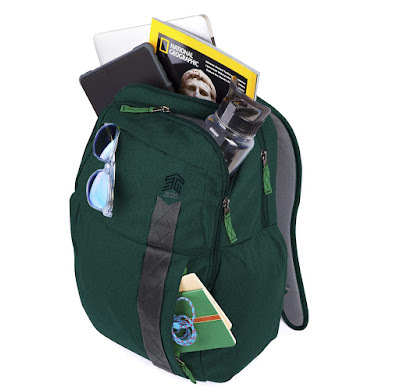 However, one change that has clearly happened for the greater good is with STM Bags... sorry... STM Goods' new design direction which has given us some new bag and accessory ranges. We check out one such range, the Streets. The Streets range from STM includes three new bags and a laptop sleeve; all of which coming in varying combinations of colours. STM were kind enough to bung us a couple from the range, to get a feel for the new style and check out the rugged functionality. The Kings bag is a backpack designed to comfortably accommodate a laptop of up to 15 inches... and more besides. It features a capacity of 22l which is distributed across several large and small pockets, and also boasts STM's handy Cableready system. We've reviewed that before, on the Haven bag, but essentially it allows you to place a portable battery in the bag, then feed the USB wire through various holds and clips to get to the pocket you want. It's always very useful and STM designed it up well. So well, in fact, that they provide a small pocket at the left base of the bag to insert a battery. Something like the Varta Power Bank 5200 fits like a dream, and it's great to know that your phone or tablet is receiving a charge as you wander along. The main hold, into which you can slide your laptop, features Slingtech Protection which helps to suspend your precious computer up and away from the corners and base of the bag. 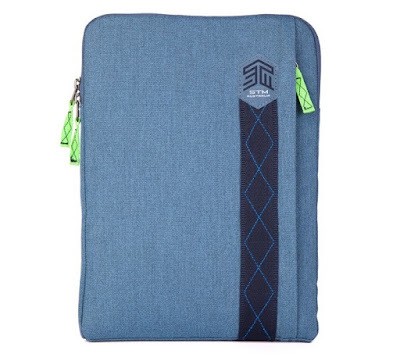 The pocket itself features a curved bottom and edges, too, meaning once you slide the laptop in there, there isn't room for it to wiggle around, adding further protection in the event that you drop you bag or collide with something. STM have also been jolly helpful by providing the Kings backpack with 'the Stash'. This is pencil case-like pouch which can be removed (or attached via a fairly long internal leash) and used to store your bits and bobs. We found that hard things like keys, pens, and coins went in there well, to keep them away from the delicate screens of our tech that the bag was also carrying. Keep it or ditch it, it's a great inclusion. The overall aesthetic of the Kings is far more minimal and cleaner in appearance than other STM products we've reviewed in the past, and that we really like. But, as ever, it still feels exceptionally rugged and well constructed, and we'd be more than happy slinging about our priciest of laptops in this all day. If you don't need the whole laptop protection system of a bag, and instead yearn for something small and tidy to keep your laptop safe while in another bag or out in the open, the Ridge serves that purpose. 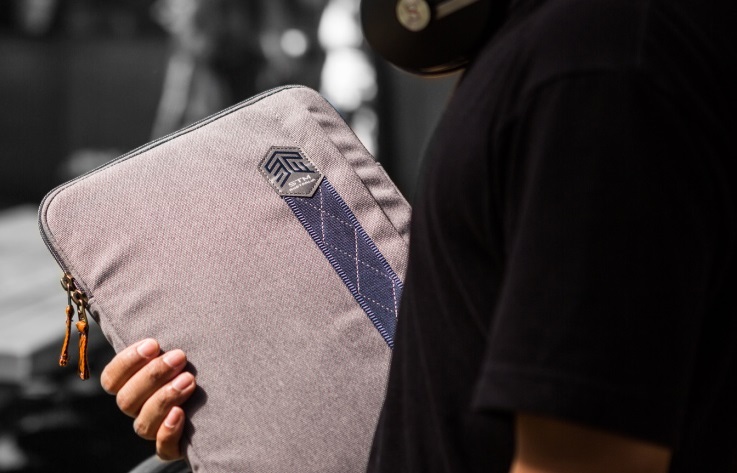 With stylings similar to those of the Kings backpack, the Ridge sleeve adds 8mm of protection all the way around your computer. You might not spend much of your time thinking about laptop sleeves, and for that we can't blame you. However, the Ridge is a good looking product, and comes in 11, 13, and 15 inch versions so you can find the right fit. The STM website first and foremost mentions these sizes in relation to the new MacBooks, but after we took delivery of the 13 inch version, we found that pretty much any modern laptop of that size (and by that we mean thin) fits fine. As well as the thick and spongy foam protection, the Ridge sleeves offers some functionality in the form of a front zipped pocket complete with cable tidies. Once your laptop is in there, the pocket doesn't a offer huge amount of space, so might not be able to store your power lead, but it was good for slim external hard drives, flash drives, USB cables and other handy stuff. Nice touch. The sleeve seems very tough, being made from the same fabric as the backpack, and YKK zips are used throughout. 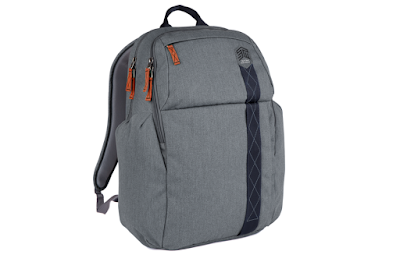 Just like the Kings backpack (and the Banks and Judge bags which complete the range) the Ridge is available in four distinct colours, which, we're happy to report, weren't at all garish. Imagine gritty sand tones and cool greys - very nice.